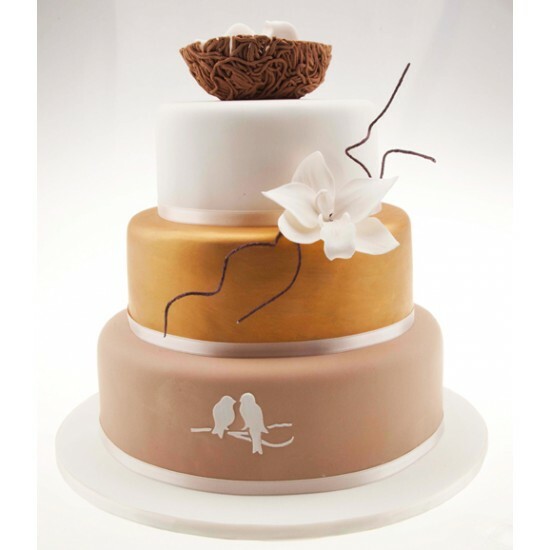 The Sweet Nest wedding cake is a classically designed, three tiered cake with beautiful bird imagery and a hand made chocolate nest. This is the wedding cake that you need before you start to build your nest. 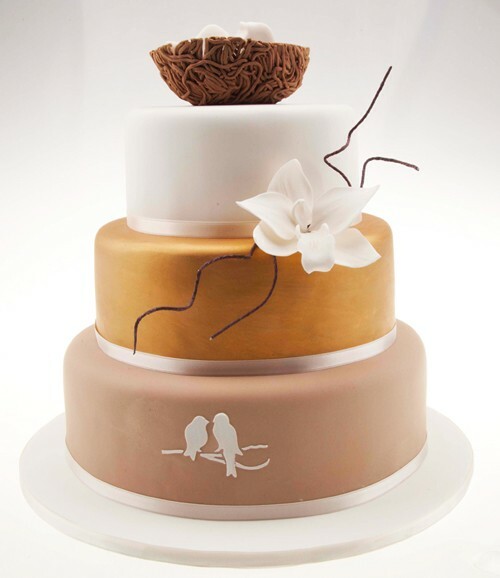 The Sweet Nest wedding cake is a classically designed, three tiered cake with beautiful bird imagery and a hand made chocolate nest. Each tier has been hand-crafted and iced in lovely warming colours for your wedding. The bottom layer is decorated with two love birds, while on top of the cake is a sweet chocolate nest, complete with two eggs to signify the blossoming of your love!